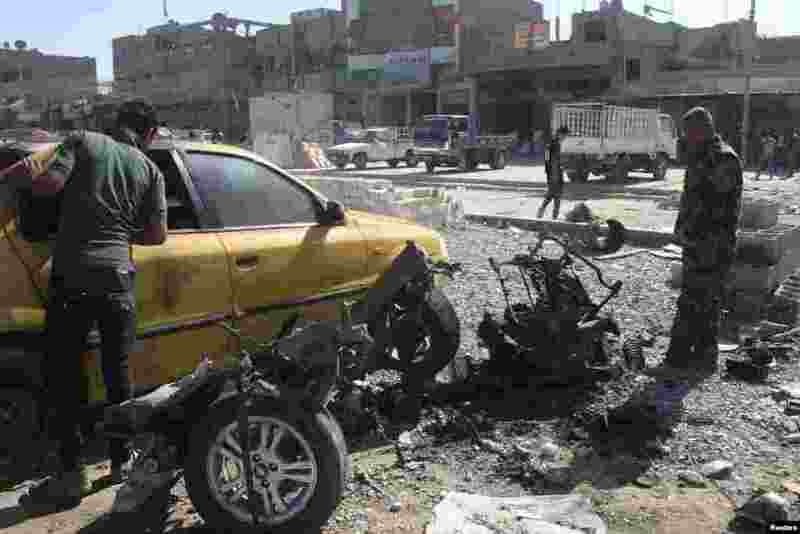 1 A police officer examines a vehicle that was used in a car bombing in Baghdad's Sadr City, Sept. 30, 2013. 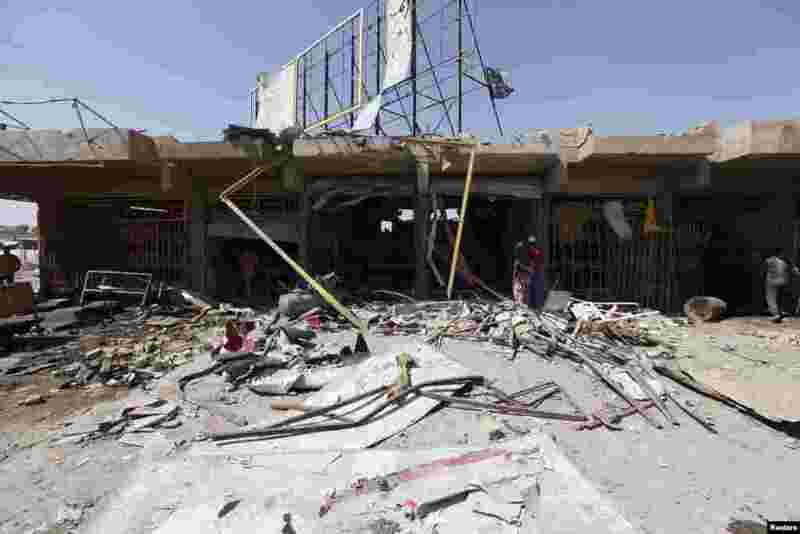 2 People inspect the site of a car bomb attack in the Ur district, northeastern Baghdad, Sept. 30, 2013. 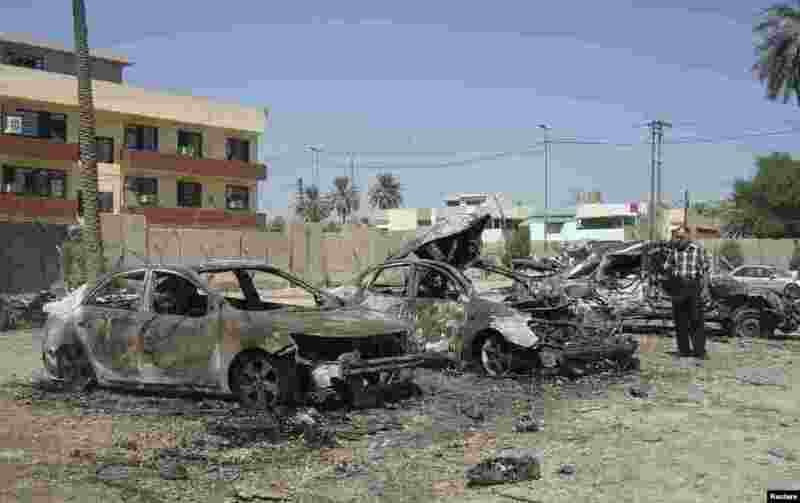 3 A man looks at damaged vehicles at the site of a car bomb attack in Baghdad's Kadhimiya district, September 30, 2013. 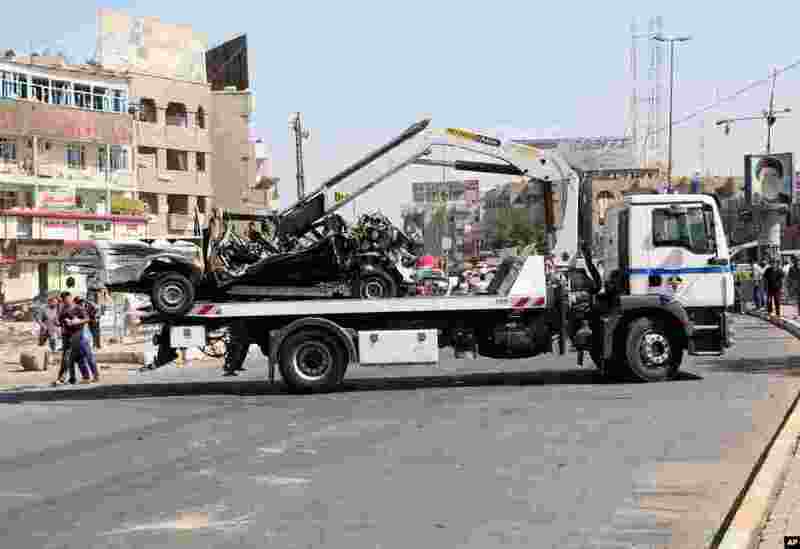 4 Security forces tow away a destroyed car after a car bomb attack in Baghdad, Sept. 30, 2013. 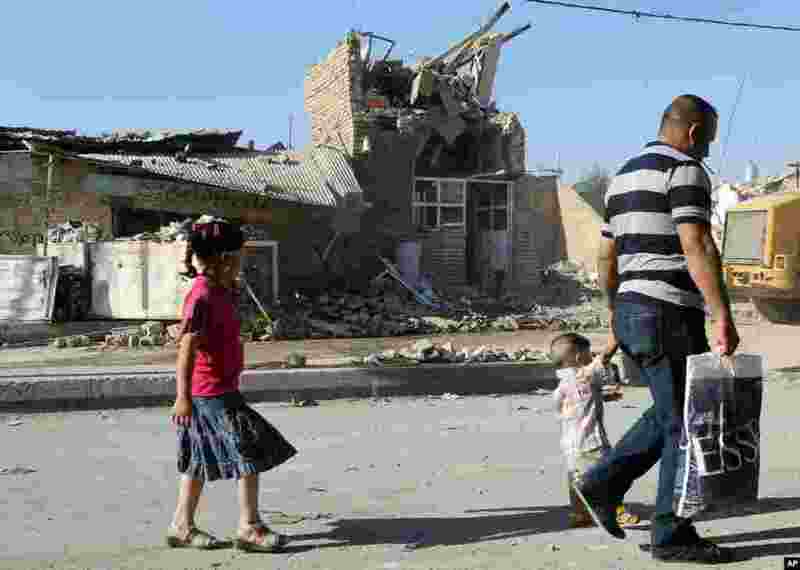 5 People pass by the ruins of the al-Hussein Shi'ite mosque day after a suicide bomber struck in Musayyib, Iraq, Sept. 30, 2013.